Take your time and enjoy watching your favourite TV serie or sport events in our dayroom or play a billiard game with your friends. 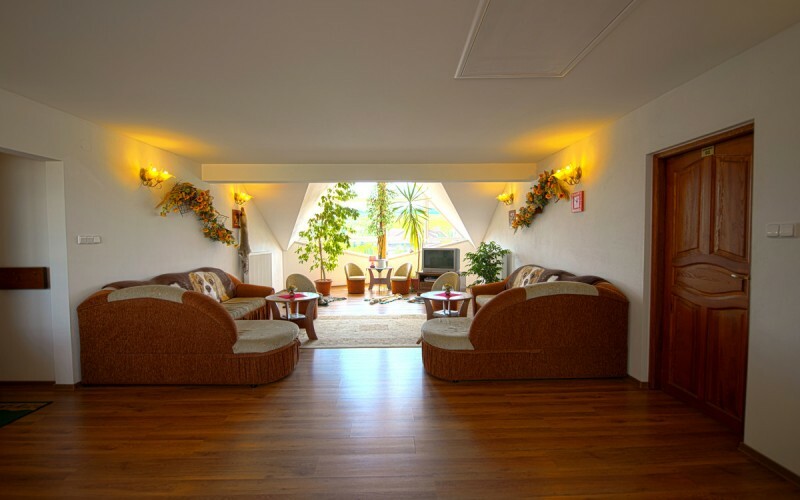 Dayroom is a place where you can enjoy unforgettable view on Tatra mountain peaks or simply get rest while watching TV. If your beloved half cannot miss an episode of her favorite series even during holidays, you surely appreciate the possibility to come to the dayroom to enjoy watching football or hockey game. 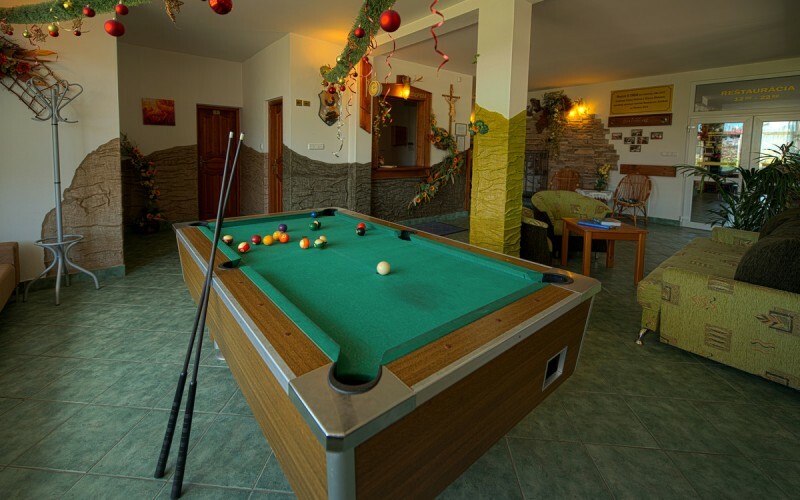 You can fill your leisure time in Penzion U orla by playing a billiard game with your friends and family or trying your skills and luck in parlour games which we are ready to borrow you.